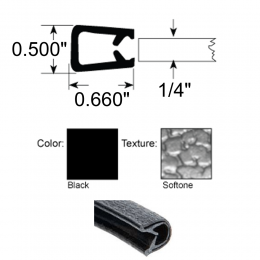 Quick Edge flexible decorative edge trim. Also known as "windlace" in the automotive industry. Samples available. Grips edges from 3/16" - 1/4"